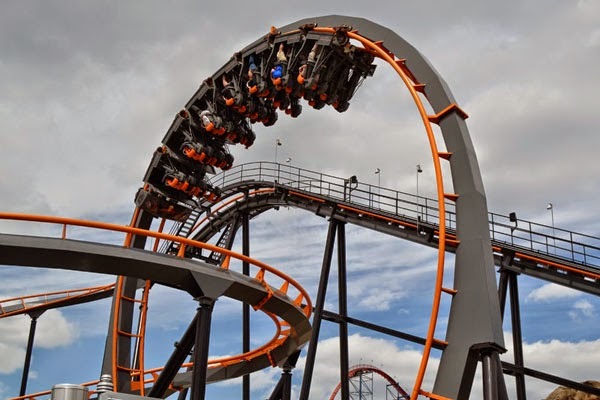 Every year, we travel to our local Six Flags to collect g-force data on some of its most popular roller coasters. 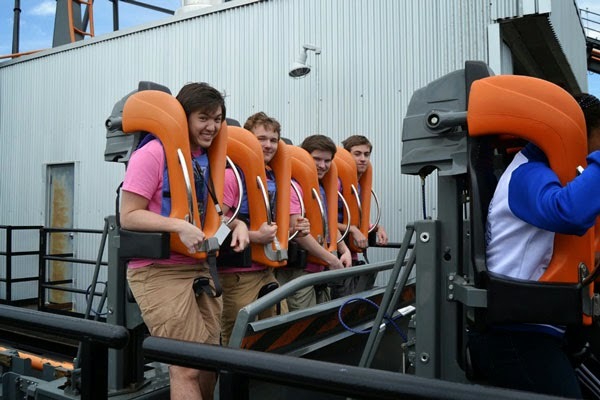 Although we compile the data, the true scientists of the day are local high school students who wear accelerometers on four of the park's thrilling rides. 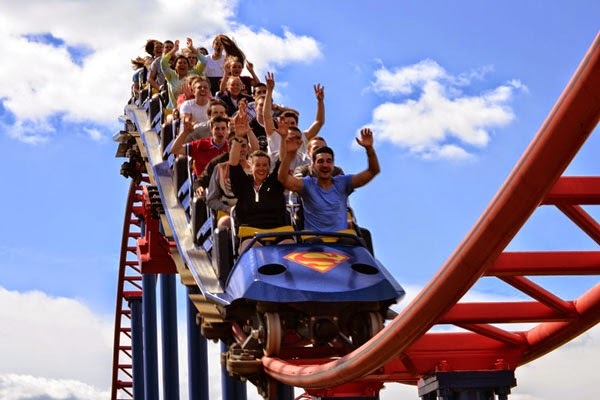 To include those of you who couldn't make it to this year's event earlier this month, we shared our data last week and quizzed you on your knowledge of roller coaster physics. 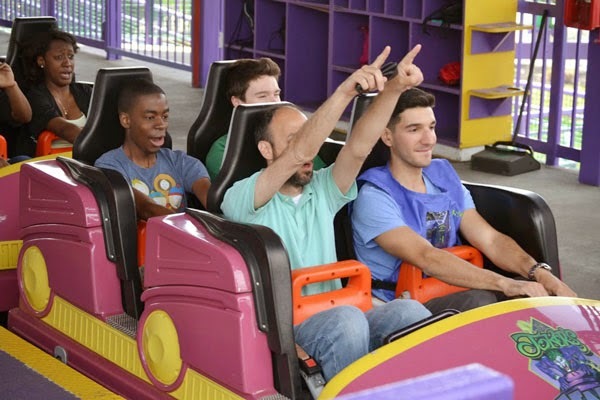 And this week we're sharing a different data set: the photos from another successful Six Flags Physics Day in 2014. Enjoy! 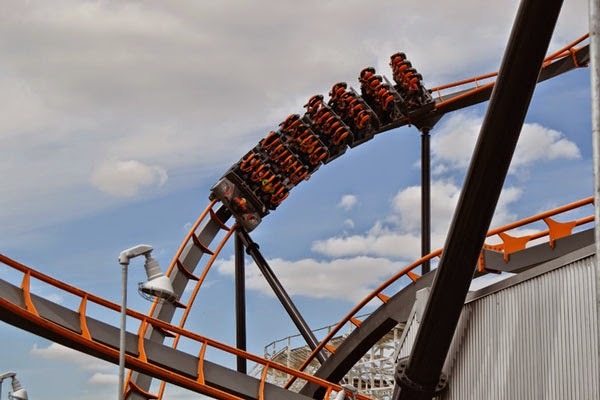 One of several inversions on the Apocalypse ride. 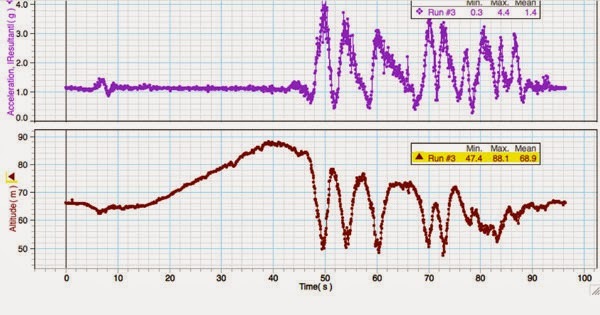 Be sure to check out the ride accelerometer data too. Brave students taking data on the Apocalypse ride. 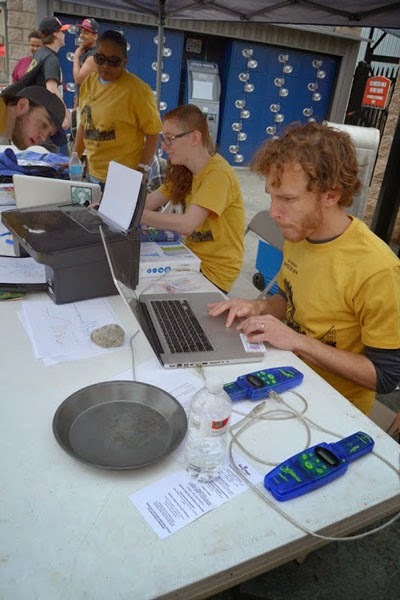 Volunteers prepare the accelerometer data for the students. Another view of the Apocalypse ride. Be sure to check out the g-force data for the ride as well. 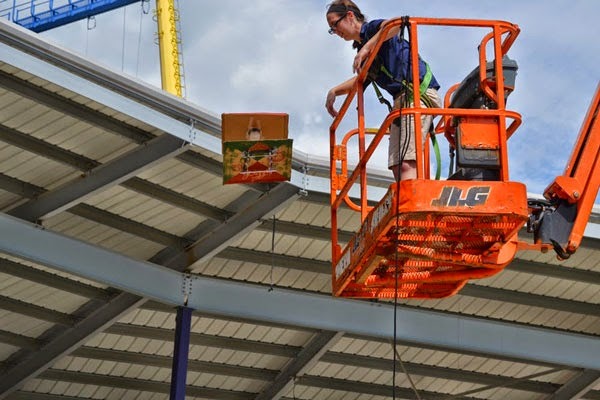 One of the entries for the egg drop contest being dropped from the top of a crane in the park's amphitheater. 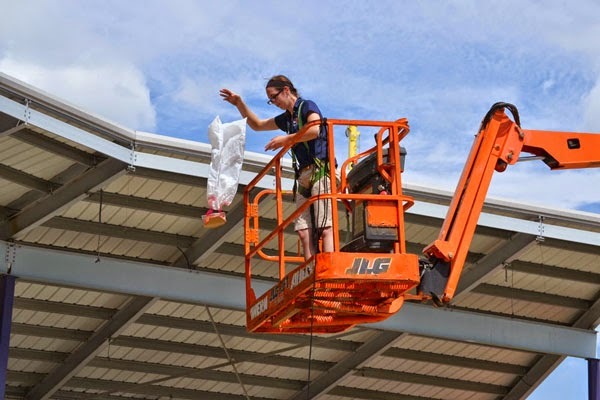 Another entry into the egg drop contest near the peak of its descent. 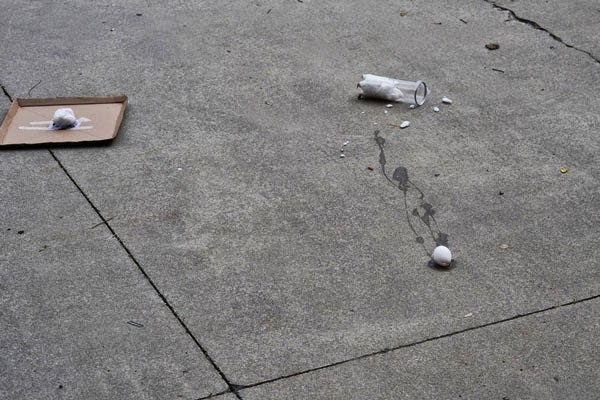 Not all eggs survived in one piece during the egg drop contest. 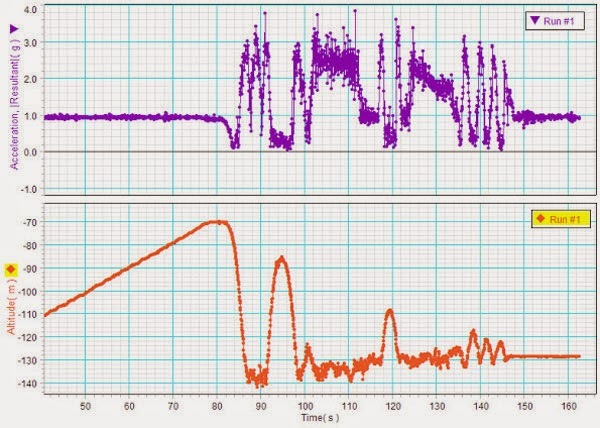 As you can see, accelerometers (on the front right rider) appear to have a calming effect on the Joker's Jinx ride. Enjoying the Superman ride. Check out the ride's g-forces here. 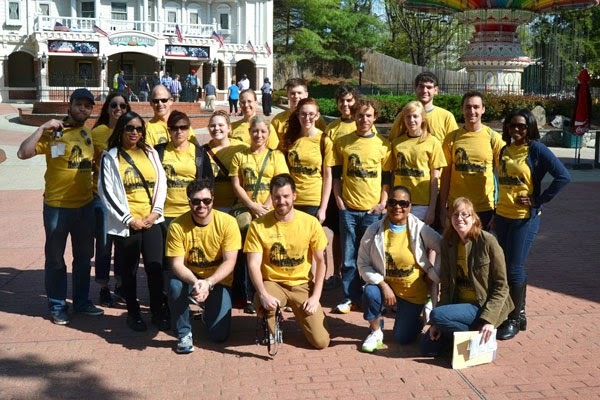 The staff and volunteers who helped make Six Flags Day possible.